Most accidents can be avoided if the parties involved were a bit more careful. In order to ensure the safety of property and pedestrians, there are several codes that guide the use of vehicles some of which include the absolute prohibition of drinking and driving, texting and driving or even making phone calls. It is sad however to note that some drivers are careless and reckless, and their actions most times lead to the detriment of innocent people. 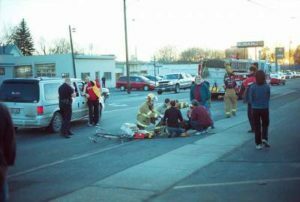 If you or someone you know has suffered a pedestrian accident, then after seeking medical attention, do reach out to a competent pedestrian lawyer in Escondido. Rawa Law Group, a renowned legal enterprise here in California is your best bet for topnotch legal services. We have led the pack for over two decades and in that time, we have brought hope and meaning to countless lives. You might also want to know that we have redeemed settlement valued at over hundreds of millions for the benefit of our clients in that time! Our goal for sharing these details is to help you know that we are good at what we do and that we would be honored to serve you. Bear in mind that we do not require that you pay in advance or upfront before we take on your case. In seeking to make everything as convenient for you as possible, we are ready to use our resources in order to bring you the outcome that you desire.